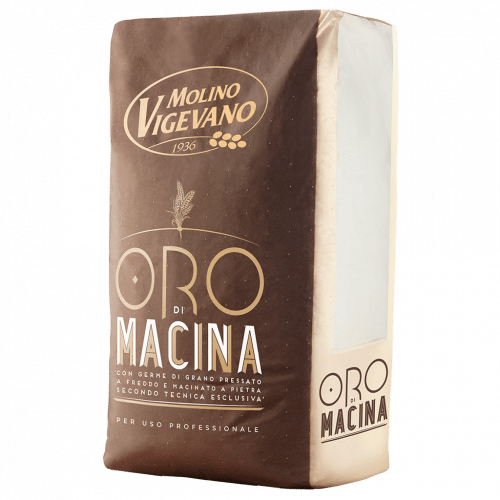 The Oro Fibra 1 flour is the result of the grinding process where some of the fibre-rich parts are retained, for a flour with more taste, aromas and minerals. Also with our vital stoneground wheat germ the result is a unique flour. The Oro Fibra 1 flour is ideal for daytime leavening from 8 to 24 hours at room temperature; it can be matured from 24 to 48 hours in a refrigeration cell at 6 ° C.
The Oro Fibra 1 flour is ideal for making pizzas, focaccia and bread. But also fresh pasta, as leavened desserts and puff pastry. The product contains gluten and is manufactured in an environment where, mile derivatives and lupine beans are also processed. 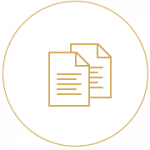 We recommend storing flour in a cool and dry place, at a temperature of 18 °/20 ° C and maximum humidity of 45%, to guarantee perfect yield during use. Incorrect storage may compromise yield during use.